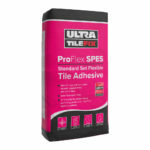 Ultra Tile Fix ProGrip FX is a single part, semi-rapid setting flexible adhesive for wall and floor tiles. 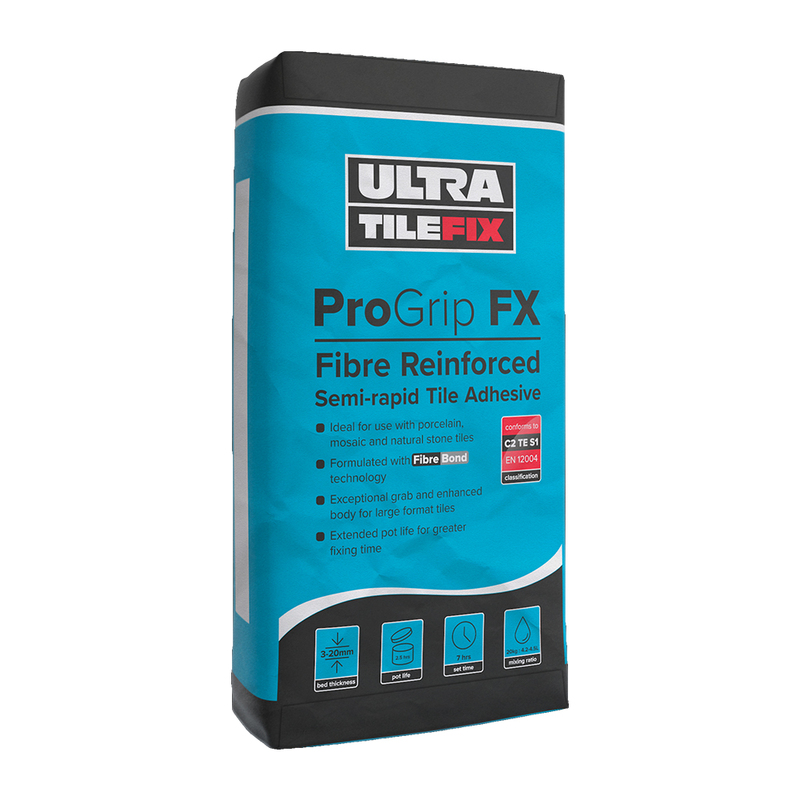 Ultra Tile Fix ProGrip FX is specially formulated with enhanced adhesion and flexibility, making it ideal for areas where slight movement or vibration can occur. Classified as S1 in accordance with EN12004, Ultra Tile Fix ProGrip FX has the high level of deformation for greater tolerance to movement. 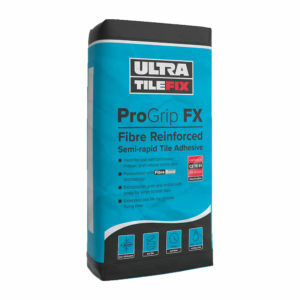 Ultra Tile Fix ProGrip FX is a polymer modified adhesive which provides enhanced performance and high bond strength including installations subject to moisture. 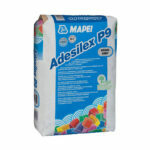 It is able to take light foot traffic within 3 hours of installation depending upon temperature and substrate. When fitting tiles leave spaces between each of the tiles to allow for grouting (approx: walls 1mm – 3mm and floors 2mm – 12mm). 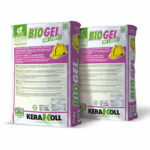 Before the tile adhesive sets clean off the excess adhesive from the face of the tile and grout joints with a clean damp cloth or sponge.